Everybody has gone through something frightening. However, a trauma is any event in which a person fears for his or her life or safety. Or for the life and safety of another. After a trauma, people often tell me in therapy that they don’t feel like they know themselves any longer. The changes in their body, emotions, and mind confuse and scare them. 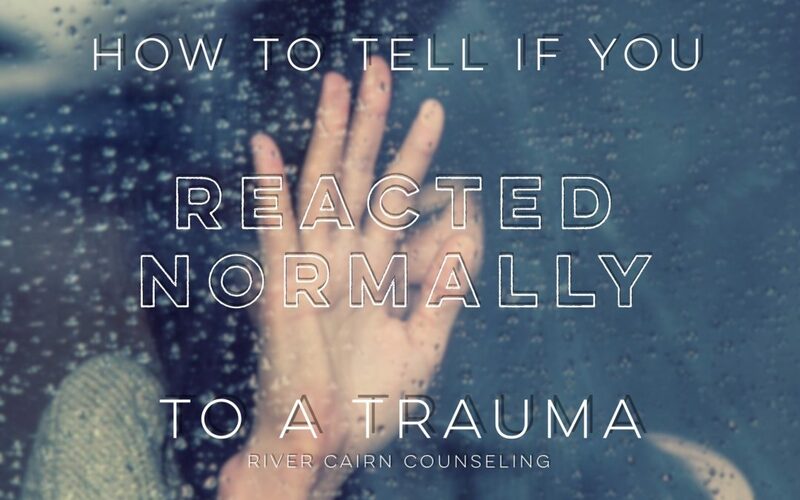 They feel like they are “Going Crazy.” So how can you know if you are reacting normally to a trauma – or if there is something wrong? Our bodies are designed to protect us from danger. When a scary or upsetting event happens to people, it’s normal to experience a very strong physical reaction called the fight-flight-or-freeze reaction. Upon noticing danger, your brain begins the process of releasing hormones to prepare you for survival. And decrease in functioning of non-emergency body systems (such as digestion or the relaxation of the bladder). These physical reactions occur in less than a second and prepare you for immediate action to remain safe. If your body reacts in either fight or flight mode, you naturally get ready to either fight or run away from the danger. Some people describe these feelings like a kick in the stomach or like they might faint. Other people have the freeze response, in which the body attempts to reduce physical and emotional pain. Some people describe this reaction as feeling numb, others report that they don’t feel pain. Some people report feeling like the danger event is happening to someone else, or that they are watching the event from “outside their body.” People might experience strange effects on time, like it slowed down. Others report that it feels like they shut down emotionally. No matter how a person reacts to danger, whether fight, flight, or freeze, in all three reactions people lose the ability to have “higher level thinking.” This means you are not planning. You are not thinking about your values or life philosophy. You are not considering the long-term effects of this event. In fact, you might have difficulty thinking at all. This is because the frontal lobe of the brain, where we do our thinking, is put “on the back burner” until you are safe again. Once a person is safe again, it may take a long time for their body to recognize the safety and return to baseline. While returning to baseline, in order to regulate all the hormonal changes in the body and process what happened, people may find themselves acting without much control. You might cry and feel unable to stop. Some people pace or rock back-and-forth. And others may feel numb and not able to feel anything – physically or emotionally. Having somebody with you and supporting you immediately following the trauma is both incredibly healing and important. It could be a bystander, fellow service member, nurse, firefighter or other emergency response person, friend, or family member. We are such social beings that relating to others is a key component in our healing process. In the days and weeks following a traumatic event, it is natural to have some prolonged effects. These effects can be broken down into 3 categories: re-experiencing, hyper-arousal, and avoidance. In re-experiencing, you might notice having nightmares, feeling like the event is happening again, or having trauma memories that pop into your mind. In hyper-arousal, you might experience strong physical and emotional reactions when reminded of the trauma. The reactions might closely mimic how you reacted during the dangerous event itself. People also often have difficulty falling or staying asleep, problems concentrating or remembering things, more anger or irritability, being jumpy, and feeling on guard even in safe situations. Finally, avoidance of things that remind of the trauma is the third set of prolonged reactions that are normal. These could include wanting to push away memories or thoughts of the trauma. People might try to prevent themselves from having feelings about the event, have difficulty remembering parts of the trauma, or feel numb and cut-off from other people. Many people try avoiding people, places, smells, or sounds that remind them of the trauma. This might include not watching the news or certain TV programs, not going to the hospital, or shutting themselves in their rooms. Avoidance is an issue because the things that were around you during the dangerous event can get connected to the fight-flight-freeze response. So later on when you see, smell, or hear something similar, your body might turn on the fight-flight-freeze response. For example, somebody who survives a house fire might react to burnt toast like their lives are in danger again. These reactions will fade over time if you don’t avoid those triggers. However, if you avoid things that remind you of the trauma, your body won’t learn that the triggers are not actually dangerous. All of the prolonged reactions are normal and naturally reduce within a few weeks following the dangerous event. Unfortunately, in some cases, the reactions to the trauma do not decrease within a few weeks. When people continue to have a significant number or intensity of the trauma reactions for more than a month after the trauma event, a diagnosis of Post Traumatic Stress Disorder is often given. Because the body naturally heals emotionally and psychologically following a trauma, PTSD is a disorder of something preventing the natural healing process from occurring. People who develop PTSD are not weaker than others. There are no grounds to judge another person’s reaction to a dangerous event. Some people are more genetically predisposed to developing PTSD. Others may be at higher risk due to their backgrounds and history. The most important fact to know is that PTSD is treatable. The memories cannot be erased. But what is stopping the healing process can be treated, so that symptoms are reduced and PTSD is no longer present. 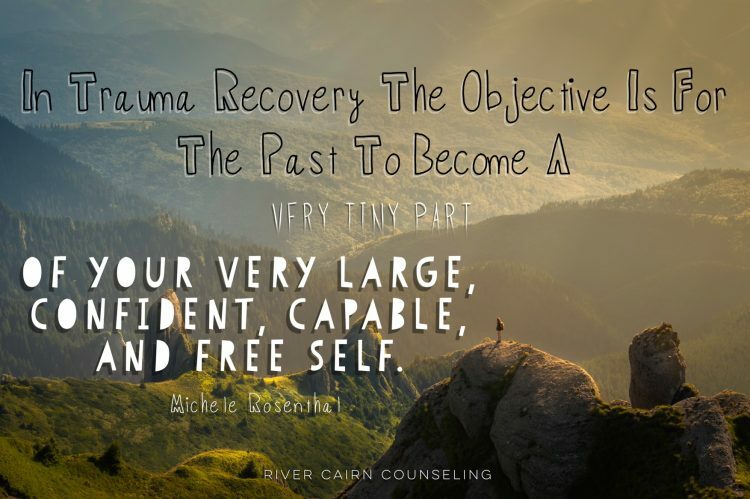 If you or a loved one are struggling with the aftermath of a trauma, give me a call. We can set up an appointment or consultation. Beginning therapy can be scary, especially because of the natural urge to avoid the issue. However continuing in avoidance will only prolong the PTSD. 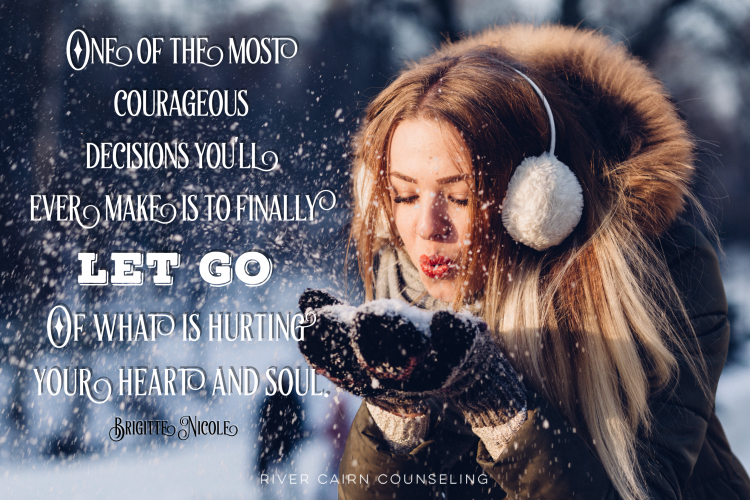 Let’s get started on your healing journey.